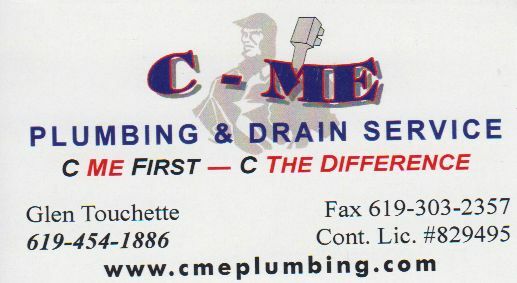 Hello, my name is Glen Touchette; I’m the senior plumber at C-Me Plumbing. 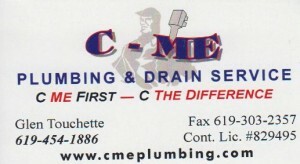 I look forward to providing you with excellent service at an affordable price. With 25 years experience, you can trust the job will be done right the first time. All work is guaranteed and your satisfaction is our highest priority. Please call for an appointment at 619-454-1886.